A Lasting Promise's NOVICE jacket. A Lasting Promise's ADVANCED jacket. 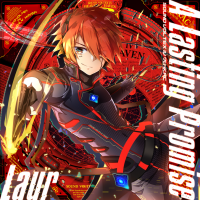 A Lasting Promise's EXHAUST jacket. 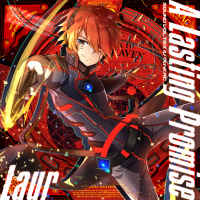 A Lasting Promise's MAXIMUM jacket. 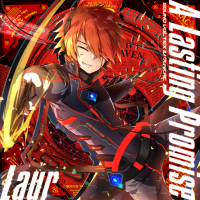 A Lasting Promise is one of the Excellence Award songs of The 7th KAC Original Song Contest (The 7th KACオリジナル楽曲コンテスト). It can be unlocked in SOUND VOLTEX IV HEAVENLY HAVEN from February 21st, 2018 via the Ω Dimension unlock system after the previous six Phase 3 songs are cleared. Tsumabuki Right appears in A Lasting Promise's jackets. Phase 2 BEAST BASS BOMB - Cy-Bird - Far Away - OPEN MY GATE - Hug!! Vs. Hug!! - #SpeedyCats - 闇夜に舞うは紅の華 - All Clear! !